Dr. Betty will be speaking at Love Fellowship Christian Ministries Pre-Women’s Day Service on Friday, April 26th at 7:30 pm.The OCC Dram Ministry presents "Make Room", this year's Easter program, on April 14th at the 11:00 an service. Dr. Betty will be teaching at Love Fellowhip Christian Ministries Pre-Women's Day Service on Friday, April 26th at 7:30 pm. The Kick Off Celebration Service for OCC's 37th Anniversary is scheduled for Sunday, April 28th @ 4:00 pm. Pastor Willie Reaves of New Horizon Gospel Ministries of Clinton, MD and Praise Team will celebrate with us! We will be blessed with Music and Singing on Friday, May 3rd @ 8:00 pm! Friday, May 10th @ 8:00 pm is a Tribute and Youth Night celebration! Dr. Betty will be teaching a monthly Healing Sermon the 2nd Sunday of each month at the 11:00 am service. Watch clips of dynamic messages on the Outreach Christian Center Youtube page. Prayer works!! Noonday Prayer takes place the 2nd and 4th Tuesday of each month from 12:00 pm until 1:00 pm. Monday night Intercessory Prayer from 6:30 pm - 7:30 pm and Saturday morning Intercessory Prayer the 1st and 3rd Saturday of each month from 7:00 am to 8:00 am. Please contact Deaconess Sandra McCain or Brother Scott Perry if you have a birthday, wedding anniversary, or other special event you would like announced at our Sunday services. During illness or bereavement, please contact Deacon Jones or Deaconess Bush of the Good Samaritans Ministry. Visit the Calendar page for a schedule of all services, rehearsals, and special events. Visit the Contact Us page if you wish to be added to our email distribution list. Pastor Willie G. Swinney, D.D. 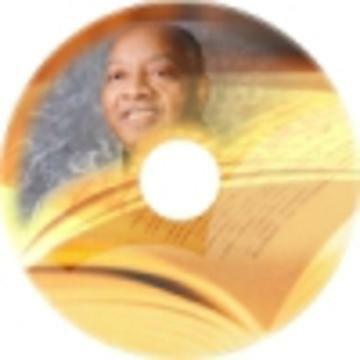 Pastor Willie G. Swinney, Sr., D.D.